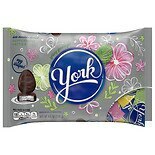 Shop York Dark Chocolate Covered Peppermint Patties (12 oz. )12 oz. 2 for 7 dollars and 00 cents or 1 for 3 dollars and 99 cents $3.99 $0.33 / oz. 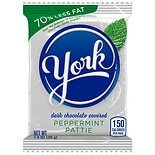 Shop York Peppermint Pattie Miniatures (40 oz. )40 oz. 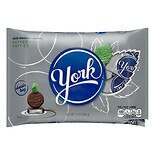 Shop York Dark Chocolate Covered Peppermint Patties (19.75 oz. 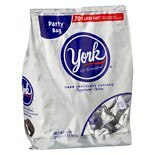 )19.75 oz. 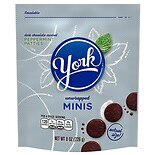 Shop York Minis (8 oz. )8 oz. 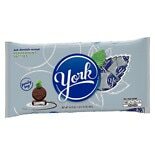 Shop York Peppermint Pattie (1.4 oz. )1.4 oz.